It *does* light up! 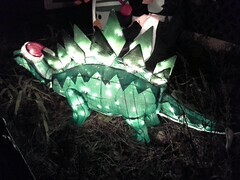 Christmas dinosaur lit up at night in a front yard in Somerville. This page was loaded Apr 24th 2019, 12:08 am GMT.